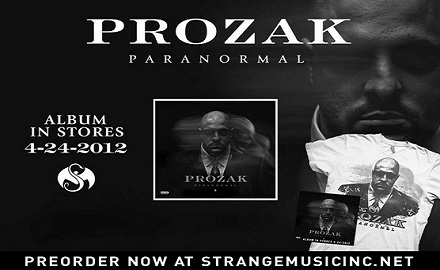 With the release of Paranormal fast approaching, we recently caught up with Prozak for an update on the highly anticipated release. Visiting Prozak on location for his latest documentary, Strange Music followed the action and you won’t believe what happened once we let the cameras roll – see for yourself! Have you pre-ordered Paranormal yet?